Ramboll has been chosen as consulting engineer for leading international fashion company Bestseller. 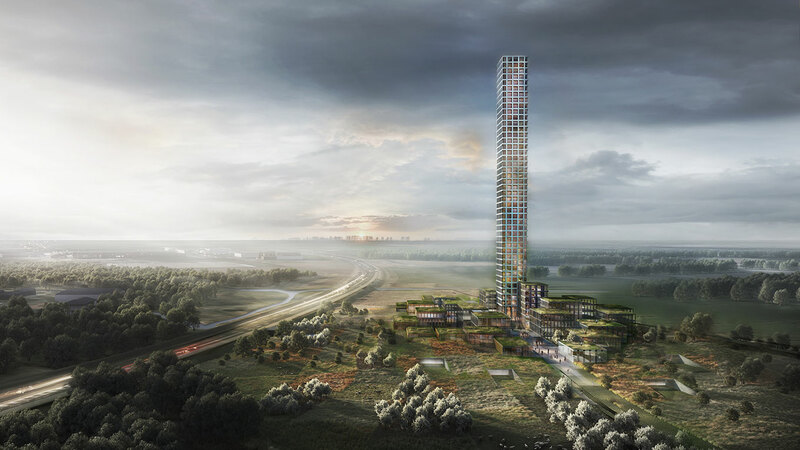 A more than 300 meter high hotel is the centrepiece of new headquarters for Bestseller in its hometown in Brande, Denmark. A 60,000 m2 facility will house retail shops for the company’s clothing brands, as well as offices and a high-rise hotel with a conference centre. The project aims to create a striking showcase of Bestseller’s products for customers and business partners and establish an attractive training environment for company employees. ”It’s a really exciting project where we’ll be responsible for all design engineering and design management, giving us a super opportunity to display our full capabilities across Buildings in Denmark, but also internationally,” he says. The contract will run over three years. Dorte Mandrup Architects A/S is responsible for the design.